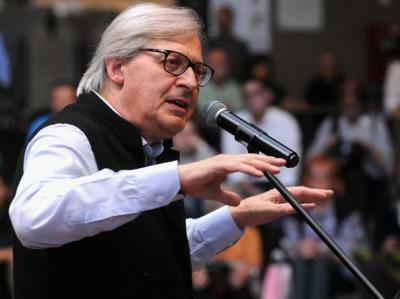 ROME - The Rome Public Prosecutor’s Office has placed dozens of people, including art critic and MP Vittorio Sgarbi, under investigation on suspicion of art forgery. The Preliminary Investigation Judge put two individuals under house arrest, and banned two gallery owners from carrying out professional activity. Over 250 artworks believed to be counterfeit have since been seized. Their combined value is worth 30 million euros. According to the Rome Public Prosecutor’s Office, the organisation revolved around Rome’s Gino De Dominicis Archive Foundation, an association chaired by Sgarbi and made up of many important gallery owners, art experts and brokers. The criminals are being investigated for their involvement in the falsification, authentication and marketing of artworks which have been falsely attributed to famed artists such as Gino De Dominicis, one of Italy’s most important artists from the post-war period. He condemned the judge's “ignorance and blindness." “I’m suing,” he added.